What are the major drivers of considering new business models? Nowadays digital technology is reshaping businesses and society. Digital transformation is more than a buzzword it is the profound and accelerating transformation of business activities, processes, competencies, and models to fully leverage the changes and opportunities of digital technologies and their impact across society in a strategic and prioritized way, with present and future shifts in mind. Businesses are undertaking their own digital transformations, rethinking what customers value most and creating operating models that take advantage of what’s newly possible for competitive differentiation. Technologies like AI, AR/VR, IoT, BigData, Blockchain, 3D printing, Mobile, Cloud computing are the driving forces behind the digital transformation. All these technological evolutions are opening unprecedented opportunities for companies to extend their existing product or service offering and at the same time to build completely new business models. Close to their physical product and service offering companies are able to build new digital products and services which complement the existing business model or consider a completely new business model. These developments are creating an exponential explosion in data, which, in turn, requires business analytics to make sense of the information and take full advantage of it. Using information and analytics, organizations can reshape the customer value proposition on three levels by enhancing, extending or redefining the value of the customer experience. Customer experience is clearly driving the business model innovation and transformation. Close to that market globalization, competitive pressure, collaborative ecosystems, usage-based pricing model and adaptive, agile organization models are pushing companies to consider building new business models. How have you identified the right business opportunities for a new digital business model? TVH Group is worldwide market leader for replacement parts used by material handling, industrial and agricultural equipment. Our customers are service or rental companies which operates and maintain a large number of equipment worldwide. Through our TVH Equipment division we also operate a large rental fleet of access equipment. We are delivering the necessary spare parts and related services in a just-in-time delivery model, helping our customers to maintain their equipment, reduce downtime and increase operational efficiency. Through our digital platform our customers can find the best solutions for their problems and take actions accordingly. More than 92% of our daily activity goes through platform. The latest technological evolutions allow us to go beyond the existing service offering considering new ones based on the Machine Generated Data. Collecting and processing this data we are building a Predictive maintenance model which allow us to detect potential equipment failures before these happens. Machine learning based advanced analytics allow us to developing algorithms and decisions models and deploy those to the edge. As the sensors generated, real-time streaming data reflects the real condition of equipment, using these predictive models, we can identify exceptions, generate events and take actions avoiding major failures. In this way we can reduce downtime, increase operational efficiency, increase the lifetime of equipment and finally generate important cost savings for our customers. The lifetime of equipment is highly influenced by the way how these are used. This new model allows us to advice our customers for the optimal usage of their equipment. In this way step-by-step we are moving towards a pay-as-you-use model, the equipment becoming a part of broader service. Could you please define the metrics and KPI’s to measure the success of transformation? In order to support this transformation, we have decided to build an agile organization with a high flexibility of developing, running and supporting digital products. The squad, through the voice of the product owner, is responsible for his product for the entire lifetime. Squad members using an agile methodology and DevOps are empowered to build Minimal Viable Products and improve those through a close collaboration with the customers. In this way the Customer experience is a major part of the design, build and support process. Our digital business platform, having data and analytics platform at its core, close to components like Information System Platform, IoT Platform, and Ecosystem Platform has a strong Customer Experience platform. Through these platforms, we distribute our human and financial resources with a focus on five major business objectives: Customer experience, Employee experience, Business Process Improvement, New digital products and service and New digital business models. Each component has its specific metrics and KPI’s which allow us to measure and evaluate the results achieved. The list of those is quite long but for instance for the Customer Experience we have: Net promoter score, Customer retention, Customer review & feedback, Customers success and Customer satisfaction score for the Digital Business we use Revenue generated by digital sources, # of customers using the new model, % of real-time tracking, # of connected assets… For the development, run, and support we use other, ITIL governed metrics. The most important is definitely the Customer experience reflected by customer reviews and feedbacks. Why customer experience is a central element of the new model? Customer experience is the driving force behind our digital transformation. It increases our competitive advantage, generates higher customer loyalty, boost customer advocacy and finally allows us to achieve a higher customer satisfaction rates and increased revenues. Our goal is to create, support and communicate relevant CX, in close cooperation between all disciplines within the company. It requires an enterprise-wide approach, a fundamental cultural and organizational change. Through our new business model and service offering we have real-time connection with the equipment used by our customers. In this way we have not just connected equipment but also “connected customers”. After every machine is a customer, which experience we can positively affect, which is often when it matters most. Continuous feedback coming from the customer allows us to adapt and improve our services and offer personalized, best fit solutions. In this way we are delivering on the full promise of the 'connected customer”, understanding not just who our customers are and what they need right now, but also determining what they might need in the future. The agile organization I’ve mentioned earlier is built around this continuous collaboration. Product owners, UX designers, software engineers, support engineers… are playing a major role in designing, building and supporting our products based on the real requirements coming from our customers. In this way our digital products are naturally included in CX. What would you like to achieve by attending the Strategic Initiatives and Business Model Innovation? 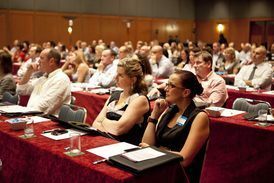 As nowadays continuous learning is a must for every digital leader, learning from thought leaders and business experts attending the event, hearing real use-cases presented by companies, exchanging ideas with peers is my major objective. Being invited as speaker, I’m proposing to share our experience with the audience and to contribute is this way to the success of the event. Attending the networking moment is a great opportunity for me to meet my peers and to discuss our common challenges. In this way I can enlarge my community as well. Ahead of the Strategic Initiatives and Business Model Innovation conference, we spoke with Mr. Kalman Tiboldi, Chief Business Innovation Officer of TVH Group about the major drivers of considering new business models and the right business opportunities for a new digital business model. Kalman Tiboldi is the Chief Business Innovation Officer of TVH Group, worldwide market leader in replacement parts and accessories for material handling and industrial vehicles, and has over 35 year experience in using information technology for business process innovation. Kalman merged IT and Business in a new department called Business Innovation through IT (BI²T) and managed to promote the collaboration between IT and Business as driving force behind the digital transformation of the company. With his team he has successfully implemented a flawless IT infrastructure with flexible applications, based on service-oriented architecture, using DevOps, turning TVH into a real-time, extended enterprise. Providing the leadership and direction towards the development and implementation of information systems, Kalman is taking advantage from Cloud-based Services, Big Data and Internet of Things and strongly support Open Source solutions. 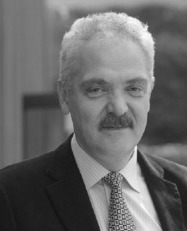 Kalman holds a Civil engineer polytechnician degree from Military Technical Academy of Bucharest and a Master of Mathematics and Computer Science degree from University of Bucharest. He was named IT Manager of the Year’ – Large Organizations in 2004 and 2011 by Leading European Trade Publication, Data News.